Whoever said, “It’s easier to catch flies with honey than vinegar,” must have never heard of apple cider vinegar. 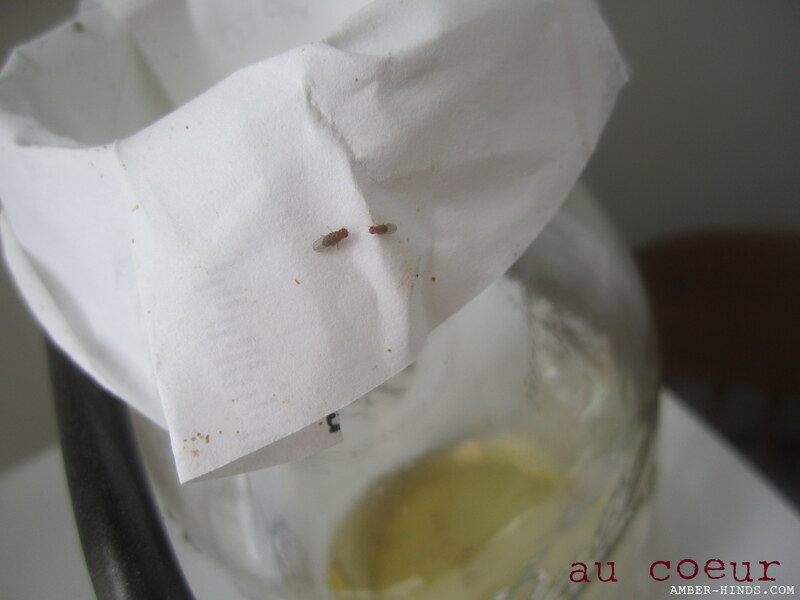 Inevitably, this time of year, fruit flies take over my kitchen. My normally bug free home becomes a casualty of canning and bringing extraordinary amounts of farm fresh produce onto my kitchen counters and dining room table. I’ll pretend that they’re never — not ever — encouraged to stick around by dishes that don’t get cleaned the second we stop eating off of them. No, I’m a better housewife than that. Mostly. This year, they came in with the tomatoes. There were swarms within an hour of juicy red hitting my dining room table (and floor). I couldn’t can fast enough. Even though I know it wasn’t a reflection on my house’ cleanliness, they still make my skin crawl a little bit. But what’s a girl committed to natural living to do? Of course, there’s the obvious: keep the trash emptied, the dishes washed, and the fruit and veggies in the refrigerator. But who really likes refrigerated tomatoes? 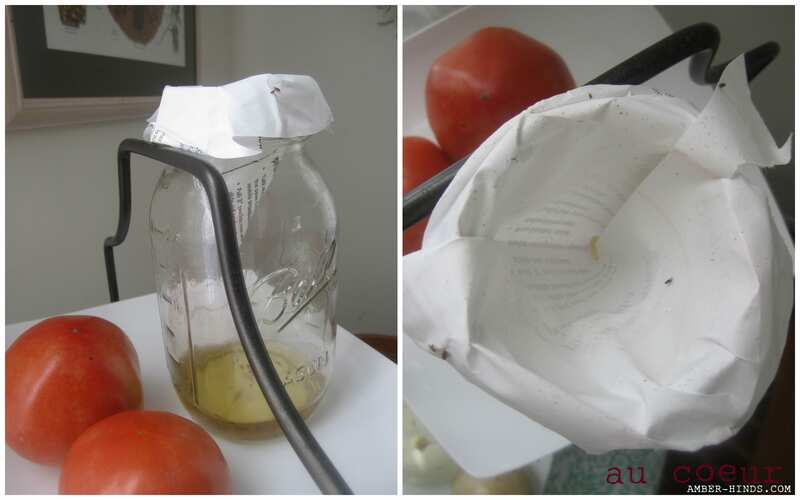 Enter the simple, natural, DIY fruit fly trap: All you have to do is pour apple cider vinegar (I do about a 1/2 inch) into any old container (glass is nice so you can see if it’s working), and put a paper funnel on the top. The fruit flies fly in, but they don’t know how to get out. Then you can take them outside for release (good karma) or just let them die in the jar (shh, we won’t tell). The same vinegar will keep attracting flies for weeks. I just move the jar around as necessary. It works like a charm. No honey required.